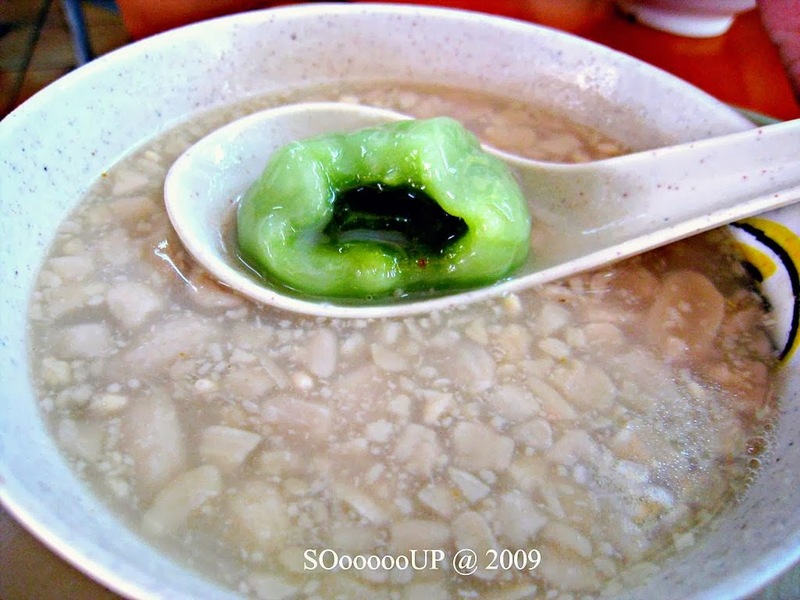 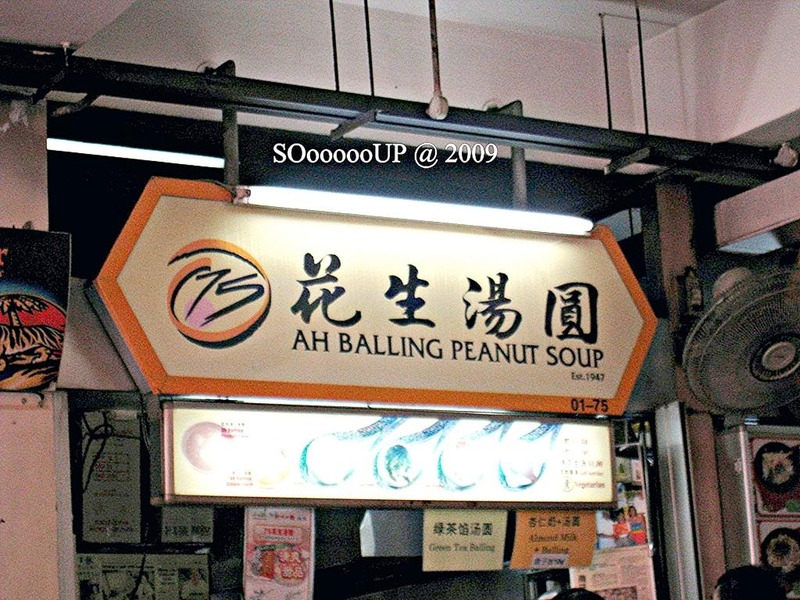 I always thought that ah balling was eaten sweet until I married my husband when his family cooked ah balling in savory soup which consisted of cabbage, scallop and pork consumed during the winter solstice period. 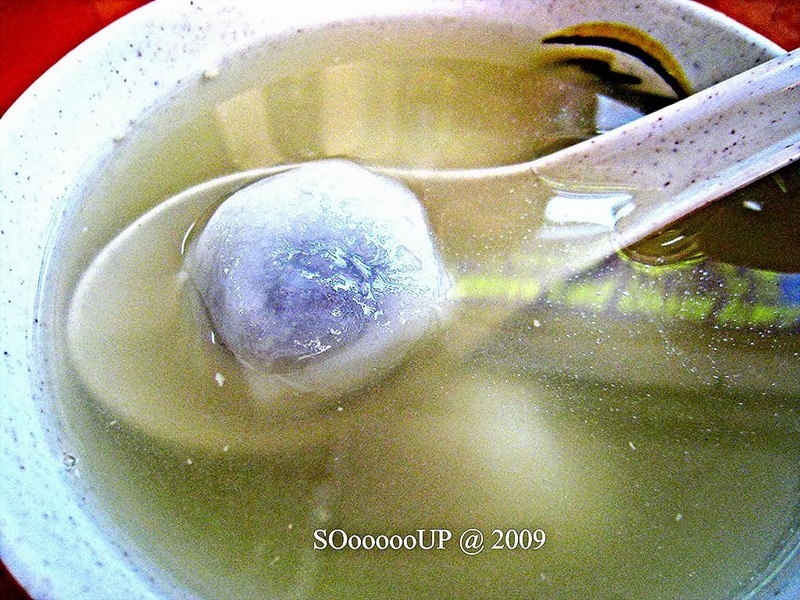 Ah balling was only eaten once a year in the old days and every family had to use ready made grounded wet glutinous rice dough bought from the market sold on the day of winter solstice, as there was no instant glutinous rice ball where you can buy from the supermarkets at any time of the year nowadays. 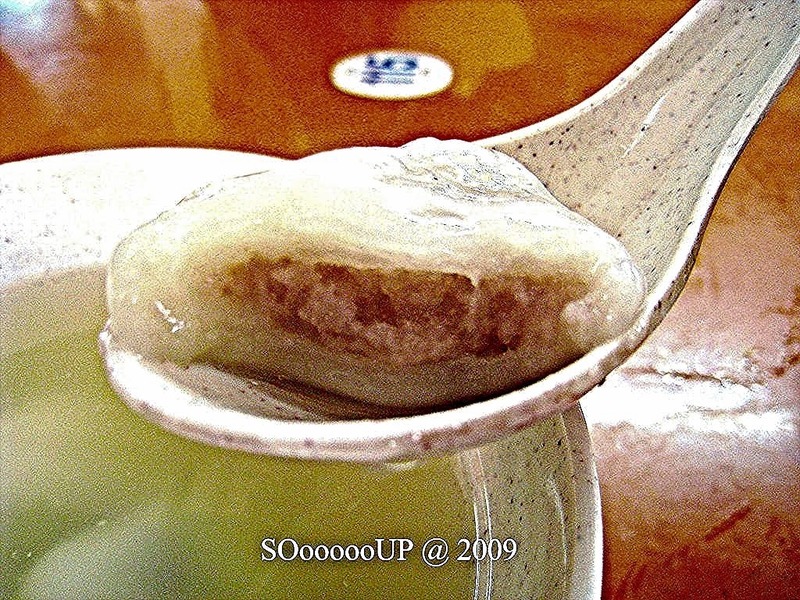 The dough came in pink and white colors and had an unpleasant fermented smell. 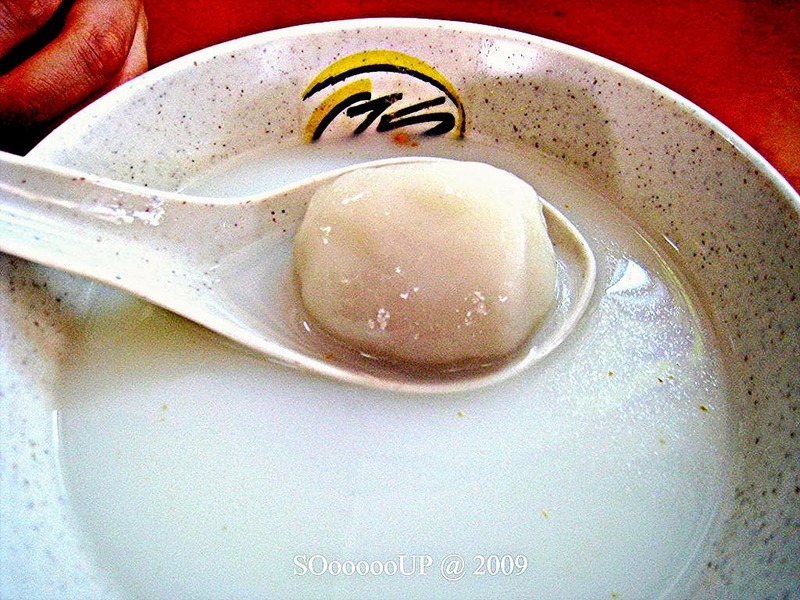 I remembered helping my mum prepared the dough by kneading and rolling to form into small balls, without fillings, and cooked in syrup. 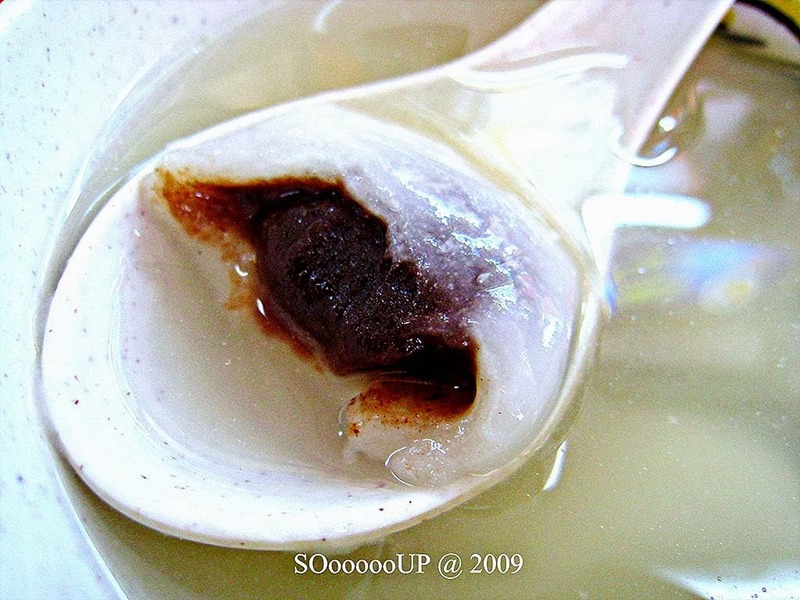 Besides instant packet rice balls you can also enjoy a hot bowl of ready made ah balling in hawker stalls and 茶 餐 聽 and they come in varieties of fillings and soup.